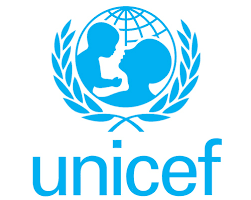 The United Nations Children Fund (UNICEF), said it has trained 24 health workers in Borno, on measures to prevent malnutrition among Internally Displaced Persons (IDPs) in the state. 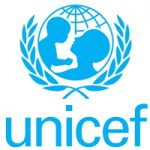 UNICEF Nutrition Specialist, Mr. Walton Beckley, said this on Thursday at the closing of a workshop on malnutrition for health workers in Internally Displaced Persons (IDP) camps in Maiduguri. Mr. Beckley explained that the training was to teach mothers and caregivers ways to utilise their meagre resources to provide adequate nutrition for the children. “The workshop is training on infant and young children feeding for health workers in IDP camps in Maiduguri. The purpose is to ensure that our health workers are in the position to counsel mothers and caregivers on methodologies they can adopt to be able to feed their children properly to prevent severe malnutrition,” Beckley said. Beckley said that with the training, mothers were expected to make use of little resources at their disposal to provide food that would be adequately sufficient for the children, to prevent malnourishment. “We have 24 health workers drawn from Muna, Dalori and Bakasi IDP camps currently at the workshop. Our focus is to train health workers from all IDP camps on the subject,” he said. According to Mr. Beckley, getting access to resources is a big challenge in the North East at the moment, saying the purposes of the workshop is to ensure that mothers are taught on how they can make the best use of food materials at their disposal.